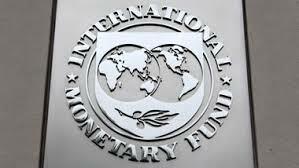 IMF cuts Nigeria’s 2019 growth forecast to 2% – Royal Times of Nigeria. The IMF, in its World Economic Outlook Update, titled ‘A Weakening Global Expansion,’ revised down the country’s Gross Domestic Product projection for this year to two per cent from the two-point-three per cent projected in October 2018. It also lowered the economic growth forecast for next year to two-point-two per cent from the two-point-five per cent it previously predicted. 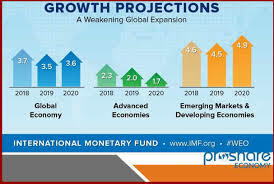 The IMF downgraded its estimates for global growth for 2019 and 2020 to three-point-five per cent and three-point-five per cent respectively from three-point-seven per cent each as previously predicted, warning that the expansion seen in recent years was losing momentum.